Clarets skipper Tom Heaton is hoping to transfer the magic he experienced in the League Cup over to the FA Cup this season. Sean Dyche’s side, issued ball number 10 for the third round draw, were picked by England women’s national coach Mark Sampson after former Wales striker John Hartson revealed Middlesbrough as the home side. England international Heaton reached the final of the League Cup with Cardiff City in 2012, selected ahead of David Marshall for the competition by one-time Bluebirds boss Malky Mackay. The 29-year-old featured in victories over Oxford United, Huddersfield Town, Burnley, then managed by Eddie Howe, Blackburn Rovers and Crystal Palace before facing Liverpool in the final at Wembley Stadium. 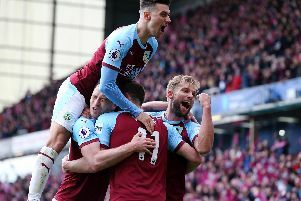 After the tie finished 2-2 after extra-time, the Reds cemented a 3-2 triumph on penalties despite Heaton saving from Steven Gerrard and Charlie Adam in the shootout. Following the draw, which will take place at the Riverside Stadium on January 9th, Heaton said: “It’s a tough one. Middlesbrough have started the season well. “We’ve got them on Tuesday so that will be a nice taster for it in the league. “It’s a tough game but it will be a good one to go there and progress. “It’s not the worst by any stretch. It’s part and parcel of the FA Cup, it’s what makes it great. Meanwhile, Heaton is relishing the prospect of games coming thick and fast over a hectic festive period starting with QPR tomorrow at Loftus Road. “It’s always good when there are a lot of games in a short space of time because if you get it right you can make big inroads going forward,” he said.